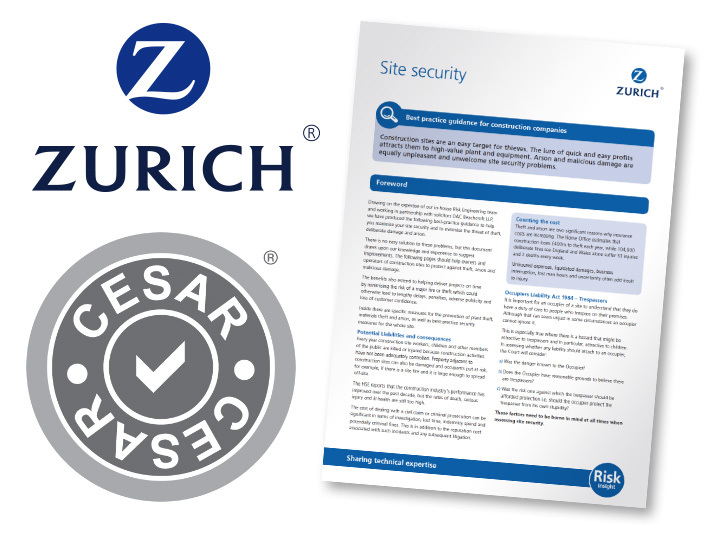 Zurich, one of the world's leading insurance groups, and one of the few to operate on a truly global basis has endorsed the UK's CESAR equipment security scheme in its ‘Site Security best practice guidance for construction companies' guide published in November 2012. The informative guide, which is available as a convenient PDF, opens with the following perceptive comment: "Construction sites are an easy target for thieves. The lure of quick and easy profits attracts them to high-value plant and equipment. Arson and malicious damage are equally unpleasant and unwelcome site security problems." 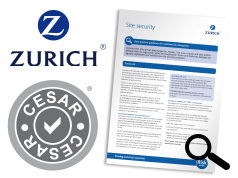 CESAR, which is the most successful scheme of its type anywhere in the world, has proven to be a powerful deterrent against theft and a valuable aid in stolen equipment recovery since its launch. According to official figures compiled by the Plant and Agricultural National Intelligence Unit (PANIU) of the Met Police a total of 19,793 pieces of agricultural and construction equipment have been stolen in the last 4 years. This total includes 1,887 quad bikes, 1,572 tractors, 1,248 telescopic handlers and 406 trailers. 1,752 pieces of equipment have been recovered by police, in that time, of which 418 were recovered by PANIU officers, 24% of the total. In the same period just 701 CESAR registered machines were stolen, well below 1% of the population, and of these 28.2% have been recovered, compared to below 5% before the scheme's inception. Datatag ID Ltd, the power behind the CESAR scheme, will be exhibiting in the British Pavilion at the giant Bauma construction equipment exhibition due to be held in Munich April 15th-21st.